Project Management methodologies refers to a systematic procedure for managing all the phases of a project effectively to ensure the success of a project. It is basically an effective project management technique that is consistently used throughout the project for successful project management. Now that you know the objective of adopting a project management methodology, you would be wondering as to what it requires to apply a methodology. A project management methodology requires following a set of guidelines customized to your specific requirements throughout the different steps of the project management lifecycle. These guidelines could be in the form of steps, checklists, or even templates that will be used in each step of the project. The project management methodology should guide the work of all the team members throughout the project. The Prince2 project management methodology advocates a process-orientated approach for managing IT projects. Each process has its inputs, outputs and the project tasks and activities to be completed for the specific task. As per this methodology, there are four main areas of a project: Initiating, Stage boundaries, Ad hoc direction, and Project closure. This methodology is specifically targeted for software development projects. The key components of the RUP framework are: phases, iterations, workflows, activities, activity steps, artifacts, and roles. The different phases of a project as per the RUP methodology are: Inception, Elaboration, Construction, and Transition. The generic approach for a project as propagated by the System development life cycle methodology is: Needs analysis, Project concept, Project design, Project training, Project delivery, and Project support. The complex approach for managing a project as per this methodology involves the following steps: Definition, Data collection, Develop model, Verification and validation, Optimization, and Delivery. Eliminates the need for crisis management by ensuring that things are planned proactively. The key to success for any project is by selecting a good project management methodology based on industry best practices and then customizing it to fit your project and organizational requirements. You should always carefully analyze the feasibility of the selected project management methodology with respect to your business components and its ability to cater to your requirements. You should not blindly follow any project management methodology. It is extremely important to select the right methodology and then customize it as per your organizational requirements. 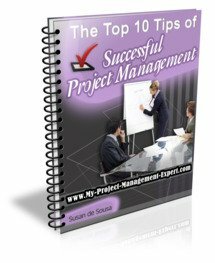 of Successful Project Management Ebook! We promise to use it only to send you The Fast Track to Project Success. Please check out our new Project Management Methodologies section. It has loads of great info on concepts such as the PMMM and Critical Path. We're running a survey to enable us to better focus our site and products. Please spare 2 minutes to answer our 6 questions and we'll enter you into a draw to win an iPod Shuffle. This way you help us to better help you. Go on, you know it makes sense!